Frozen lake, eye of the wolf, well dressed man: the perfect ingredients for a concept car video. Haven’t had enough of the drop-dead gorgeous yet? Well, BMW has what you’ve been waiting for: a video that shows it off in all its glory, including the furious howl of the unknown power plant. 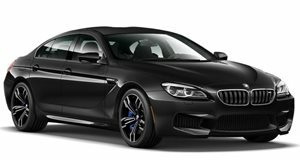 It may not be official, but the smart money is on BMW’s 4.4-liter twin-turbo V8 tuned by the M division to 615 horsepower in the M5, with “M xDrive” all-wheel-drive system attached as well, no doubt. Actually, scratch that. With the Mercedes-AMG GT 4-Door Coupe 63 S 4Matic+ arriving with 630 hp and 663lb-ft of torque, and BMW having another year to find an extra 20 hp (also giving it some separation from the M5), you better believe the M division wants to beat AMG’s 3.2-second 0-60 time, even if it says it’s not about acceleration times. For lesser 8 Series models, the 4.4-liter V8 turbo will likely mirror the 750i’s 445 hp and 480 lb-ft, and a plug-in hybrid variant much like the 740e, which has a total system power of 322 hp, 369 lb-ft, and can be driven up to speeds of 87 mph on electric power alone. Personally, I would hold out for something like M860 GC with the M760Li’s 6.0L V12—that V12 is magnificent, and the more relaxed (but still thoroughly competent and sporting) nature of its powertrain would be a match made in heaven for this new-school grand tourer. The video also captures the absolutely stunning paint work, a multi-colored treatment called . Now, BMW may be calling it a concept, but it is not so far fetched or out of the realm of possibility. The front end evolves the kidney grille and intakes we see in the M5 with a more aggressive chin. Its roofline isn’t far off what we see in the current 6 Series GC. Oh, and BMW, please keep those wheels exactly as is for production—they’re just perfect for an M8 CS model. If you’re all ready to run to the nearest BMW store to put down your deposit, note that the , while the with the Cabriolet later this year.